The US Department of State has issued the October 2012 Visa Bulletin. The DOS Visa Bulletin lists visa availability to inform foreign nationals of when they can file an immigrant visa application or application for adjustment of status to obtain a green card as a US permanent resident based upon an immigrant visa petition filed by them or on their behalf. The dates listed are the priority dates for immigrant petitions. A visa is available if your priority date or an earlier date is listed for your category and country of chargeability. The October 2012 Visa Bulletin becomes effective on October 1, 2012. Until then the September 2012 Visa Bulletin remains in effect. Since October 1st is the start of the government’s new fiscal year which means new visas are available. This is good news for the EB-2 category, which ran out of visa last year. Visas are now available for EB-2 for China and India, even though they are still backlogged to 2007 for China and 2004 for India. The DOS has decided not to make the EB-2 category current this month for everyone else, but to move it to January 1, 2002 instead. This is so that there is not a flood of applicants in October, which would make it harder for the DOS to predict visa numbers in the future. It is expected that the EB-2 category will be current for everyone except China and India in November. In October the new DV Lottery numbers become available as well for the DV-2013 selectees based on the number given to each selectee. First Preference (F1) Umarried Sons and Daughters of US Citizens: Visa availability for the Philippines had a nice jump from November 8, 1994 to April 1, 1996. This is not yet back to where it was before retrogression in August, but it is a start. Availability for Mexico moved from June 8, 1993 to June 15, 19093. Availability for everyone else moved from October 1, 2005 to October 8, 2005. Second Preference (F2A) Spouses and Unmarried Children Under 21 of US Permanent Residents: Visa availability for Mexico moved from April 15, 2010 to May 15, 2010. Availability for all other countries moved forward from May 8, 2010 to June 1, 2010. Second Preference (F2B) Unmarried Sons and Daughters Over 21 of US Permanent Residents: Visa availability for the Philippines moved from January 1, 2002 to Jan 22, 2002. Availability for Mexico moved from August 22, 1992 to October 1, 1992. Availability for all other countries did not move this month and remains at September 15, 2004. Third Preference (F3) Married Sons and Daughters of US Citizens: Visa availability for the Philippines once again did not move this month and still remains at July 22, 1992. Availability for Mexico moved from Jan 22, 1993 to February 8, 1993. Availability for all other countries moved from May 15, 2002 to May 22, 2002. Fourth Preference (F4) Siblings of US Citzens: Visa availability for the Philippines moved this month from February 1, 1989 to February 8, 1989. Availability for Mexico moved from June 15, 1996 to June 22, 1996. Availability for China-mainland moved from January 22, 2001 to February 15, 2001. Availability for all other countries moved from March 8, 2001 to March 15, 2001. Second Preference (EB-2) Advance Degree Professional, Exceptional Ability, or National Interest Waiver: Visas for India and China-mainland are now available, but India is at September 1, 2004 and China is at July 15, 2007. Predictions are that these numbers are going to stay in this area for a while. Visa availability for all other countries has moved up from January 1, 2009 to January 1, 2012. Third Preference (EB-3) Professional or Skilled Worker: Visa availability for the Philippines has not moved and remains at August 1, 2006. Availability for India has moved from October 8, 202 to October 15, 2002. Availability for China-mainland moved from December 15, 2005 to February 8, 2006. Availability for all other countries has moved from October 1, 2006 to October 22, 2006. Third Preference (Other Workers) Unskilled Worker: Visa availability for the Philippines has not moved and remains at August 1, 2006. Availability for India has moved from October 8, 202 to October 15, 2002. Availability for China-mainland has not moved this month and remains at June 22, 2003. Availability for all other countries has moved from October 1, 2006 to October 22, 2006. Fourth Preference (Certain Religious Workers): Visa are unavailable in this category. The non-minister special immigrant program is set to expire on September 30, 2012. Fifth Preference Pilot Program: Visa are unavailable in this category. The EB-5 Pilot Program is set to expire on September 30, 2012. Click here to see the October 2012 Department of State Visa Bulletin. Hello, I applied for my sister in July 2002. Could you please tell me when her visa will be available and why F4 category suddenly stopped moving forward? You should assume that it will take at least 15 years for a visa to become available under the F4 category from the time the I-130 is filed. The DOS speeds up and slows down movement of a category in the Visa Bulletin based on the number of immigrant visa applications and applications for adjustment of status (green card applications) that are filed with the DOS and USCIS. I am DV 2013 Selectee and my case number is 20XXX from Ethiopia, my question is when should I expect to receive second notification letter or visa appointment from KCC. I have sent all the forms filled on May25, 2012? Eyob, please see my answer below in response to another reader who asked this question. It doesn’t work that way. Those who receive congratulatory letters for the DV lottery will have to wait until a visa is available for their number on the Visa Bulletin before filing a visa application or green card application (whichever is appropriate for their situation). An interview will not be scheduled until after the application is filed. But filing the application too soon will result in the application being denied. * This is an advertisement. 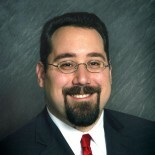 Ari Sauer is an attorney with the Memphis office of the Siskind Susser law firm. http://www.visalaw.com/ari.html. On this blog we answer questions as a service to our readers, but we cannot assume any liability related to reliance on anything herein, and responses to questions are not intended to establish an attorney-client relationship. Immigration laws and regulations are constantly changing and the rules stated may not apply to your situation. Readers are cautioned to schedule a consultation with an immigration lawyer before acting on anything stated in this blog. This blog is not intended to substitute for a consultation with a qualified immigration law attorney. Ari Sauer is licensed to practice law through the states of Tennessee, New York and New Jersey, however he is able to represent clients on immigration law matters throughout all 50 states. Certification as an Immigration Specialist is not currently available in Tennessee, New York or New Jersey. Siskind Susser limits its practice strictly to immigration law, a Federal practice area, and we do not claim expertise in the laws of states other than where our attorneys are licensed. Can a US Permanent Resident petition for his/her step-father under Family Based Immigration category? Looking forward to your answer. Thank you very much. No. US Permanent Residents cannot petition for their parents. US Permanent Residents can only petition for a spouse or unmarried son or daughter. Once they become a naturalized citizen they can also petition for parents and married sons and daughter. However a US citizen can only petition for their step-parent if the step-parent married their parent before the petitioner’s 18th birthday. If the child was already 18 when the marriage took place then they cannot petition for the step-child. Also a US citizen must be 21 or older in order to petition for a parent or step-parent. If you would like assistance with this matter or you would like to discuss this issue further, you can schedule a consultation appointment with me by calling 901-682-6455. CORRECTION: I originally mistakenly wrote that the EB-2 category for India was at September 4, 2001. This was a typo. I have corrected it to show that EB-2 India is at September 1, 2004. Sorry for the mistake and thank you to the reader who pointed it out to me. I’m from New Zealand. And im a citizen there.I have fmaily, my grandma, uncles, aunties and causins that are citizens in USA but not my dad and mum. But I want to audition for like programmes and movies in USA what kind of visa do I need? Sari, It depends on exactly what you are planning to do in the US. If you are just coming to the US for a few pre-planned auditions, then a visitor visa might be the best option. If you have already reached a certain point in your career and you are trying to transition to the US, then there are other options. Or it might be there there is not a visa available for what you are trying to accomplish. You should have a consultation appointment with an attorney to determine the best option for your particular situation. You can schedule a consultation appointment with one of the attorneys in my office by calling 901-682-6455. Standard consultation fees apply. * This is an advertisement. Ari Sauer is an attorney with the Memphis office of the Siskind Susser law firm. http://www.visalaw.com/ari.html. On this blog we answer questions as a service to our readers, but we cannot assume any liability related to reliance on anything herein, and responses to questions are not intended to establish an attorney-client relationship. Immigration laws and regulations are constantly changing and the rules stated may not apply to your situation. Readers are cautioned to schedule a consultation with an immigration lawyer before acting on anything stated in this blog. This blog is not intended to substitute for a consultation with a qualified immigration law attorney. Ari Sauer is a Memphis immigration lawyer licensed to practice law through the states of Tennessee, New York and New Jersey, however he is able to represent clients on immigration law matters throughout all 50 states. Certification as an Immigration Specialist is not currently available in Tennessee, New York or New Jersey. Siskind Susser limits its practice strictly to immigration law, a Federal practice area, and we do not claim expertise in the laws of states other than where our attorneys are licensed. Pat, this is because no country can receive more than 7% of the total annual visas issued per category each fiscal year. There are more visa applicants from India and China applying for employment-based visas than from other countries and so they reach that 7% cap each year in some categories. So the DOS has moved back their visa availability date further than other countries in an attempt to get just enough visa applications from applicants from India and China so that there are enough visas under the 7% cap to grant visas to all the applicants who file this year. Jumps forward like we saw in the EB2 category for India and China at the beginning of the year are caused by miscalculations by DHS and DOS of the number of immigrant applications that are in the pipeline in a particular category for a particular country or an attempt by DOS to try and get DHS to speed up petition processing so that all available visas get used for the year. They almost always result in backlogs in the later retrogression of visa numbers and periods where visa availability creeps forward. Current predictions are that it is going to take a long while for visa numbers for India and China to get back up to 2010 like they were at the beginning of the year. It would not be unexpected for the numbers to stay right where they are for several months. If you would like assistance with a visa application or you would like to discuss options to maintain nonimmigrant status while waiting for a visa to become available, you can schedule a consultation appointment with me by calling 901-682-6455. * This is an advertisement. Ari Sauer is an attorney with the Siskind Susser law firm. http://www.visalaw.com/ari.html. On this blog we answer questions as a service to our readers, but we cannot assume any liability related to reliance on anything herein, and responses to questions are not intended to establish an attorney-client relationship. Immigration laws and regulations are constantly changing and the rules stated may not apply to your situation. Readers are cautioned to schedule a consultation with an immigration lawyer before acting on anything stated in this blog. This blog is not intended to substitute for a consultation with a qualified immigration law attorney. Ari Sauer is licensed to practice law through the states of New York and New Jersey. Certification as an Immigration Specialist is not currently available in Tennessee, New York or New Jersey. Siskind Susser limits its practice strictly to immigration law, a Federal practice area, and we do not claim expertise in the laws of states other than where our attorneys are licensed. I cannot tell you what the best visa for you is without having a consultation with you. There are many different types of visas and each visa has its own rules and requirements. If you would like to schedule a consultation appointment to discuss what visas might be available for you, you can schedule a consultation appointment with me by calling 901-682-6455. Standard consultation fees apply. Can you share your thoughts on, why they mover dates for China and India so back? When can we expect the dates to move the way it moved in April this year? This entry was posted on September 10, 2012 by Immigration Lawyer Ari Sauer - The Immigration Answer Man in Permanent Residence, Visa Bulletin and tagged China, India, Mainland China, Mexico, Philippines, Priority Date, United States Department of State, Visa Bulletin.